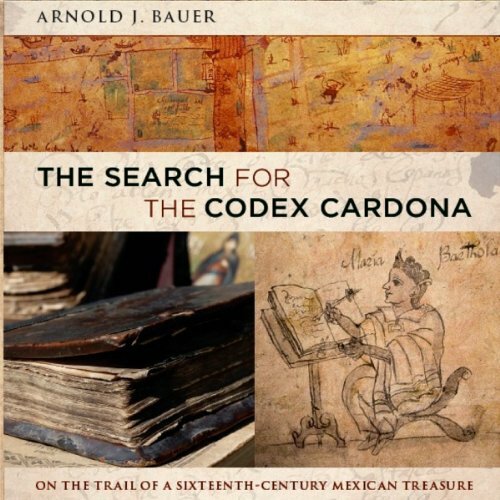 Showing results by author "Arnold L. Bauer"
In The Search for the Codex Cardona, Arnold J. Bauer tells the story of his experiences on the trail of a cultural treasure, a Mexican “painted book” that first came into public view at Sotheby’s auction house in London in 1982, nearly 400 years after it was presumably made by Mexican artists and scribes. On folios of amate paper, the Codex includes two oversized maps and 300 painted illustrations accompanied by text in 16-century paleography. I wish it were everything it hoped to be.